Readers everywhere are clamoring for books like Downton Abbey, the hit PBS Masterpiece Theater series that’s taken America by storm. Those readers have become enthusiastic about The Danforths of Lancashire by award-winning author Murray Pura. "The conclusion to this sweeping family saga is bittersweet and heartbreaking." "Pura has written a wonderful saga detailing the life and times of a family going through several hard eras of history..."
"Murray Pura has done a fantastic job of bringing history back to life with this series." 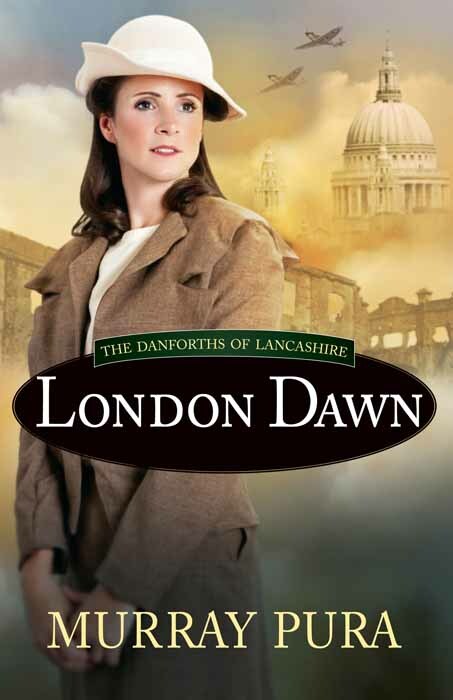 "Set aside the chores, order take out for dinner, make yourself comfortable because once you get started reading London Dawn you are not going to want to stop until the pages run..."
"I'm looking forward to what Murray Pura will write next." "...Murray does an amazing job by literally writing you right into the cockpit to join in the battle." "This whole series is engrossing and engaging as author Murray Pura brings the Danforth family and history to vibrant life. The characters and situations are real and complex in shades of grey, not simplistic black and white, and yet ultimately more satisfying. Pura is one of the few Christian fiction writers that demonstrates this degree of depth and complexity, and one of the few that I enjoy reading and I highly recommend." "I found it hard to put this book down as the suspense captivated me!"